Rolling in the RAM 5500 for the next month. Covered some identifying info and logos. 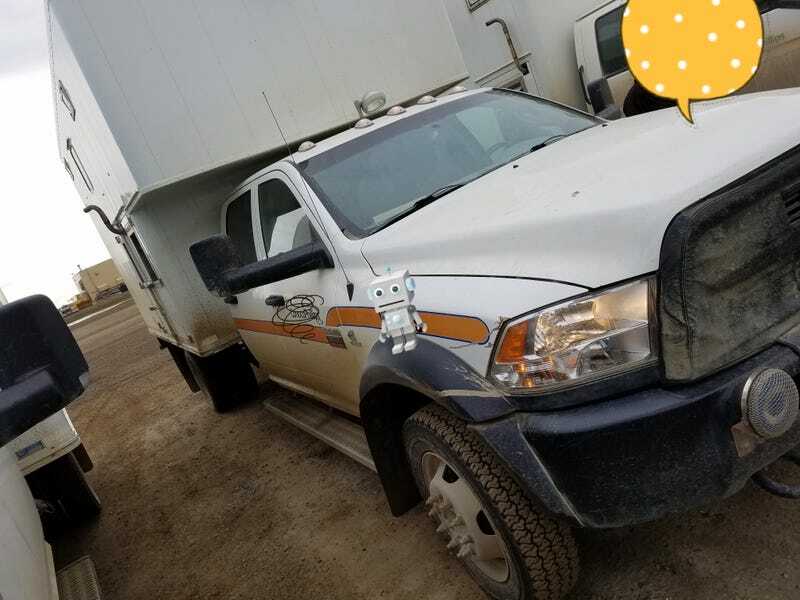 This is the work truck for my shift in Alaska on the North Slope. It’s a diesel with a bunch of extra stuff attached to it. It’s about 12 feet tall. We will be working a total of 5 weeks straight, 12 hour days. The mosquitoes are ungodly when it gets warm. It’s been 70F up here a few times already. It’s crazy. Caribou, fox, swan, and grizzly have been spotted. Darkness has not been seen. The sun just kind of roams around. No alcohol, no women, no days off and no night time. Wish me luck.